Another month has passed us by, which means it is time for another installment of the expected dividend increases series. Moreover, we're in the busiest month of the expected dividend increase series thus far. Prior to delving into the dividend increases that I anticipate for the DGI portfolio for the month of December, I'll start by recapping the dividend increases from November, and their impact on my dividend income. Abbvie (ABBV) announced an 11.5% dividend increase from a quarterly dividend of $0.96 to $1.07 a share on November 2. The company also raised its EPS guidance to $7.90 to $7.92 a share, representing a 41.3% YOY growth at the midpoint of $7.91 a share, with much of the growth coming from tax reform. Sales of Humira increased 9.0% YOY, topping $5.124 billion in Q3 2018. Furthermore, Imbruvica reported net revenues of $972 million which is a 41.3% YOY increase. Overall, Abbvie continues to deliver for dividend growth investors, and with a strong drug development pipeline (74 new and expanded indications and counting), it is highly like that these increases will continue for years to come, in my opinion. This dividend increase added $1.76 in annual dividend income across my 4 shares! Hormel (HRL) announced an 11.7% dividend increase from a quarterly dividend of $0.188 to $0.21 a share on November 19. Overall, this raise was actually a slight bit higher than what I projected in my Expected Dividend Increases for November article. I anticipated an increase in the quarterly dividend to $0.205/share. This increased my projected annual dividend income by $0.005. Realty Income (O) will likely be announcing another small dividend increase in December. I anticipate a dividend increase of about 0.2% from the current monthly dividend of $0.2205 a share to $0.2210 a share. Across my 4 shares of O, this would increase my forward annual dividends by $0.024. WP Carey (WPC) will likely continue its trend of increasing its quarterly dividend by $0.005 a share. I anticipate that WPC will increase its quarterly dividend by 0.5% from $1.025 a share to $1.03 a share. This would increase my annual dividends by $0.06 across my 3 shares. Ventas (VTR) will likely announce a dividend increase in December. 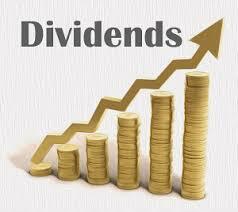 I believe the quarterly dividend will be increased by 1.9% from $0.79 to $0.805 a share. This would increase my annual dividends by $0.24. AT&T (T) will also likely be announcing a dividend increase. I would assume the trend of raising the quarterly dividend by a penny per share will continue, meaning T will increase its quarterly dividend by 2% from $0.50 a share to $0.51 a share. This would increase my annual dividend income by $0.64 across my 16 shares. Pfizer (PFE) will likely be increasing its quarterly dividend by 5.9% from $0.34 a share to $0.36 a share. This would increase my annual dividends by $0.64 across my 8 shares. Amgen (AMGN) will also likely be announcing a dividend increase in December. Based upon the most recent 14.8% dividend increase from a quarterly dividend of $1.15 a share to $1.32 a share, I believe its entirely reasonable to project a quarterly dividend raise from $1.32 a share to $1.49 a share. This would increase my annual dividends by $0.68 with my single share. Overall, I project my annual dividend income to increase by at least $2.28, with a few additional raises in my M1 Finance portfolio likely. I'm very excited with the month that is ahead of us to see how it unfolds. Looking ahead to January, I expect an even stronger month of dividend increases from my holdings. It's always exciting to be a dividend growth investor, especially in the coming months. How many dividend increases are you expecting in December? How much of an increase in your annual dividends are you expecting? I'm expecting 3 dividend increases. The ones from O and WPC that you mentioned, and also one from OZK. However, I don't expect them to result in a big bump to my annual forward dividend income. The quarter-ending months are great for dividends, but not so much when it comes to dividend increases. Very nice, ED! Pleased to be a shareholder with you in O and WPC. OZK is a regional bank I hear quite a bit about in the community as well.